New Vauxhall Astra vs used Audi A3: which is best? | What Car? 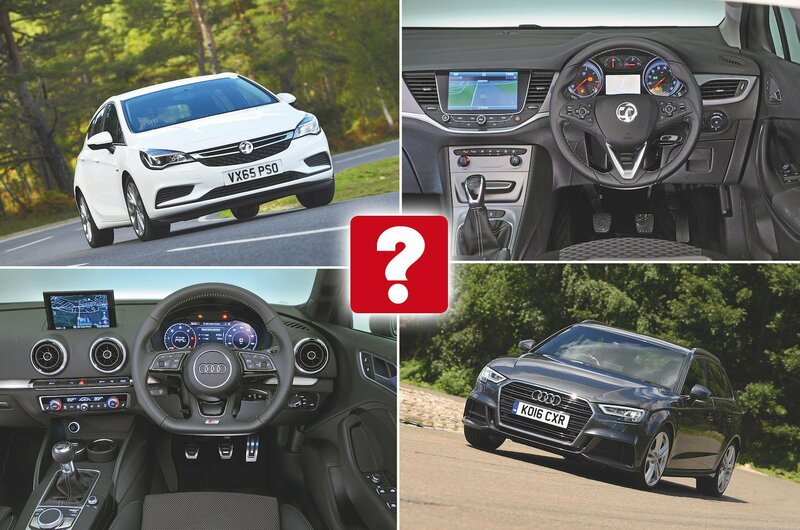 New Vauxhall Astra vs used Audi A3: which is best? Picture the scene. 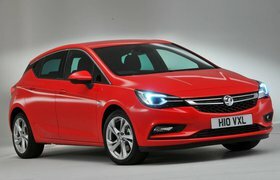 You’re about to commit to that five-door hatchback that you’ve decided is the car you need and your research tells you the Vauxhall Astra is one of the best; it’s decent to drive, reasonably efficient and comes with a spacious and practical interior. It’s excellent value, too. However, just as you’re about to sign on the dotted line, you discover that for the same price as your new Astra you can have a one-year-old example of the Audi A3 – and that’s a car with a premium badge and is a former What Car? Car of the Year. So does the A3 have what it takes to sway you out of your new Astra? Is it worth taking the risk on a used car? Read on as we pit our favourite versions of the two cars against each other. Compared with the version it replaced, this latest Astra pulls off a clever trick: it’s a fraction smaller on the outside but bigger on the inside. It looks great externally, too, being fresh, smart and attractive. The wide front grille and neat headlights have the look of a premium car and the Astra tapers back to a fine point just behind the rear window, making the car really stand out in this class. Like the Astra, the A3 has had some quite bland predecessors. However, this model, while it’s been around for a few years, was mildly facelifted in 2016 and still looks crisp, modern and handsome. The headlights are a work of art, and while the styling is four-square and a predictable evolution of older A3s, it manages to portray the car’s high-quality feel to onlookers. The Astra has an up-to-the-minute platform that imbues the car with good levels of grip and nicely balanced handling. It feels light on its feet and keen to change direction. Added to that, it rides well most of the time, although the low-speed ride can be a little fidgety and road irregularities are both heard and felt. The 1.0-litre engine has just enough oomph to propel the Astra along well, even if sharp inclines can occasionally catch it out. The A3 has a chassis of rare composure in this class, with a silken fluency to its ride most of the time. At low speeds, there can be a little patter but, despite its relative firmness, the car is never uncomfortable. It handles corners with aplomb, too, via quick and accurate steering, high levels of grip as well as well-balanced and – for the keener driver – encouraging handling. The 1.0-litre engine is more than up to the job, with plenty of flexibility, excellent accelerator response and a consistent power delivery.